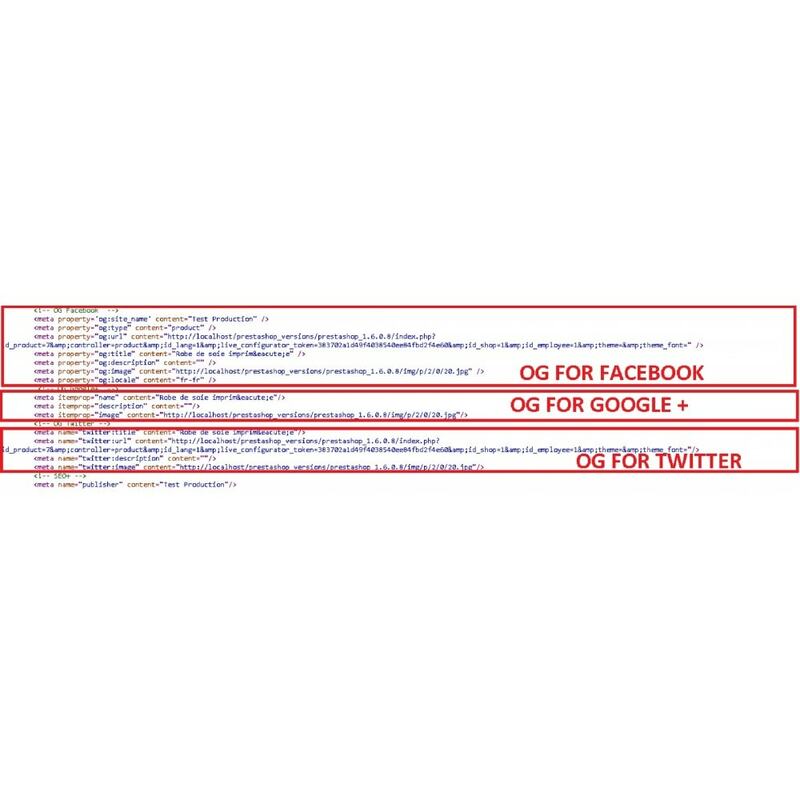 This module creates SEO OpenGraph tags for social networks : Facebook, Google+, Twitter... These tags are important for social sharing. 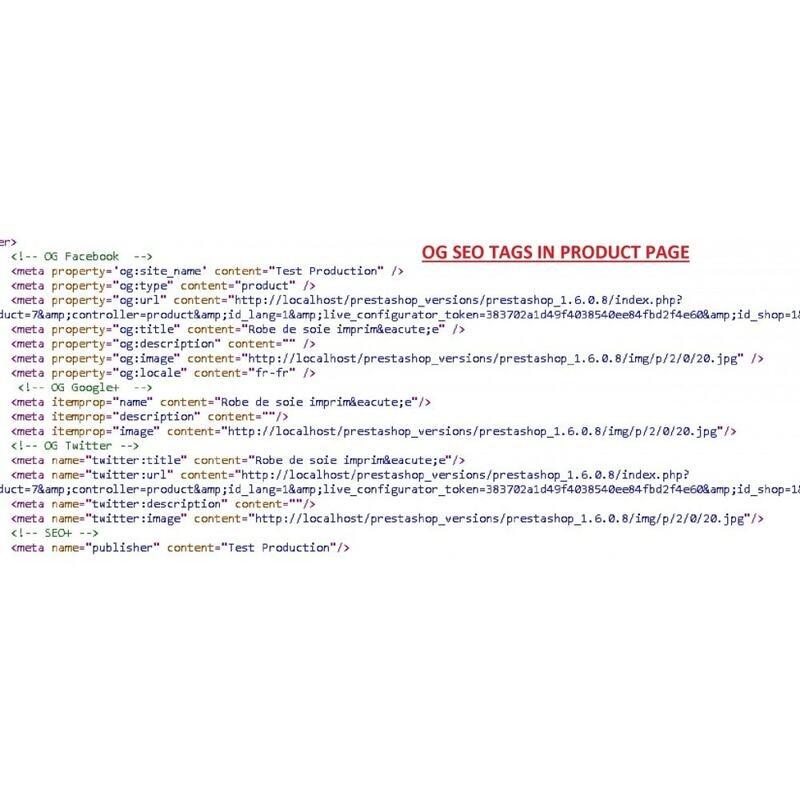 Open Graph tags are necessary for SEO in social networks (Facebook, Google+, Twitter, ...) When you share a link from your site social networks extracts information from Open Graph tags. 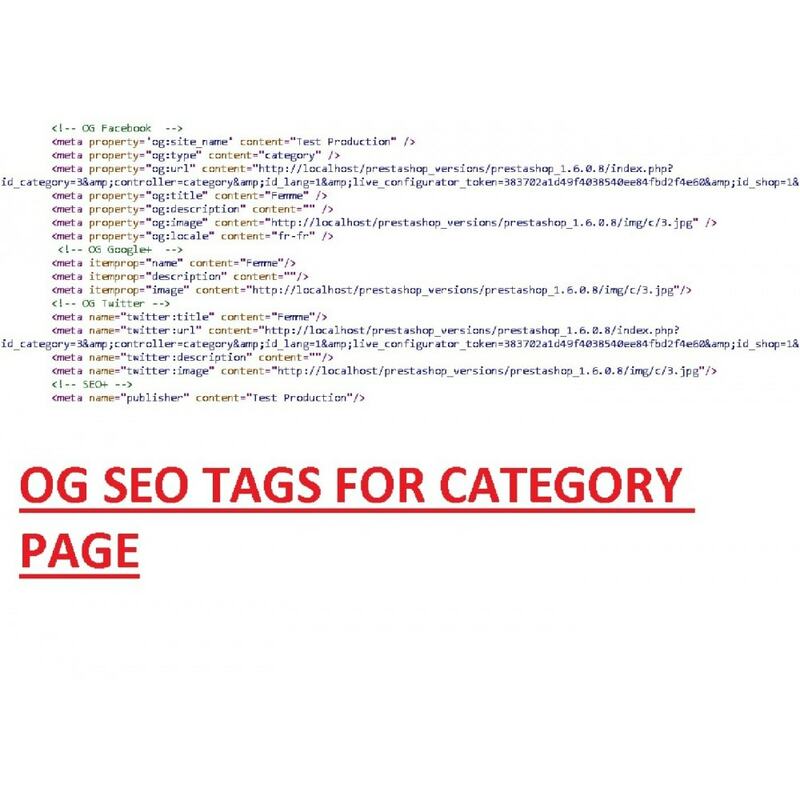 The presence of tags improves the SEO of your site. - This module displays the tags in real time: when you change your data the Open Graph tags automatically Changenet.